My sole purpose in having created this site is to help people learn the TRUTH about kratom and also know where the best kratom sources are (from MY OWN PERSONAL JOURNEY). However it seems that with the act of my helping people choose a vendor, people have gotten confused as to what is going on. Kratombible is in NO WAY an advertisement site for any kratom vendor, kratombible is my (Jessy Vigneault) personal journey with the plant. The two current vendors that you see on kratombible right now (Botanical Kratom and Happy Hippo) are the ones that I have found to have past my personal test of potency, length of kratom effect, and customer service. E-mail me at Jessyv@kratombible.com if you have a vendor that you use and would like to have me try. I find it extremely important to understand that I am not trying to “dupe” or mislead anyone in anyway shape or form. Unfortunately when one puts himself out into the world he faces criticism and scrutiny, I just hope that you as a kratombible reader understands what my goal is here. Kratombible was built by after using the kratom plant and loving the effects and benefits that it has helped me with. You can find all of what kratom has helped me with by clicking here. It also seems that some people have made up their mind that talking about kratom will hurt it when dealing with kratom bans. The conclusion that you must come to is that if we do nothing, than they will most DEFINETLY have their way. Marijuana was made illegal all those years ago because people did not have a voice like today. Today we have twitter, youtube, reddit, Facebook and a number of other outlets to vent to when dealing with problems. Marijuana is now being seen as a helpful plant and extremely beneficial to cancer patients. Why wasn’t this known before now ? The lack of research done on marijuana is mind-blowing considering the “facts” that they fed us all these years. If kratom is left silenced and not talked about, how can we make a difference ? People will find out about kratom weather or not kratombible talks about it. Having trusted companies do significant research on kratom will only prove what we all know. That kratom is a better pain, anxiety, and mild depression solution than prescription drugs. I understand that the media usually gets its way into scaring the masses. They definitely still get their way in most cases however with kratom, if tests and testimonies are taken, then kratom will prove to be more beneficial than harmful. Having kratom fear is only because the media has instilled it within you. Kratom is in the coffee family and their is absolutely no reason why it shouldn’t be tested before being banned. The fact that kratom is placed in the eyes of the masses as a dangerous drug proves that people do not research anything and just take what is said as truth. Ignorance is a BIG part of the world and I believe that one main reason for this is the media. The media (although losing MAJOR ground over the past years) is still looked at by millions of people to give them their “facts”. It has been this way for a long time, however, luckily we now live in the information age and literally ANYTHING can be found with a simple google search. Kratom propaganda is terrible and when one actually views some minor differences, one can tell that the media is spreading lies. The media wants you to believe that kratom is incredibly addicting and “un-safe”. However, the media DOES NOT care about selling you the million of drugs that come on cable tv EVERY SINGLE DAY. Using this as a contrast is EXACTLY THE REASON WHY YOU SHOULD NOT FEAR KRATOM. What you should fear is the fact that these companies are getting into your psyche and want you to ask your doctor about their drugs. Without even knowing it, through the marketing tactic of repetition, you may feel pain and opt to ask your doctor about the new drug on the market that has aired 20 times on tv in the past week. At the end of the day, opiates are by far worse than kratom, any user of both of these alkaloids can tell you that one year on opiates and one year on kratom will result in two different scenarios. Opiates will strip your quality of life from you while making you feel like a “zombie”. Kratom, after a year, will have done nothing negative (I have been using 1.5 years daily) and you will not feel anywhere close to opiates, in fact, you will feel great because of the kratom effects. (Click here for kratom user reviews). Viewing america from a Canadian perspective it seems as though the only thing that the FDA and Government care about is keeping the money in america. Kratom is obviously the better choice and minor studies would definetly prove this. People would have better clarity of mind for decision making. The sum of all these put together, make the pharmaceutical companies EXTREMELY adamant on banning this wonderful plant called Kratom. Why Does Jessy Keep Producing New Kratombible Content? The reason why I do all of this IS because of the great kratom scare in america. People NEED an alternative to opiates. Opiates destroy lives and so does pain. Whoever made this the way it is today, absolutely knows this. They understand that people would rather rid their pain, than be alert and alive. My mother suffers from chronic pain so I am no stranger to pain, it is terrible to hear someone in this amount of pain and going after something like oxycontin would no doubt temporarily help the pain, at least enough to fall asleep. The problem here is that your opiate tolerance naturally goes up AND you are slowly killing every cell in your body when you start on these nasty drugs. Alternatively, kratom has no known effects that can cause such terrible outcomes such as what these opiates do. People need to learn a better way to helping themselves and THIS is the goal of kratombible. 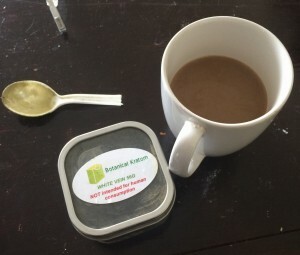 Yes, I will make a small commission when you order from Botanical Kratom using checkout code “kratombible”, however, only if you get your 10% off. I also make a commission when you use the Happy Hippo links, these do not offer any discounts at the time being, but this is my full disclosure. This helps motivate me in keeping the content fresh and alive so that people may learn more about the true kratom plant. If however you do not agree with me making a small commission off of the work that I have put here at kratombible, thats fine as well. Simply order from the places I have spoken of as they are extremely high grade kratom vendors and they are the ones I personally use. More kratom vendors WILL find their way onto kratombible and they will most likely also have an affiliation program. The goal of kratombible is to help the people, having a commission check come in at the end of the month helps me explore for more updated kratom related topics.